Supra USB 2.0 review | What Hi-Fi? The Supra USB 2.0 is a terrific performer, but it doesn't look the part. It feels very solid, but its plugs are plasticky, and its innards bulge out of its thin body like a snake that’s had too much to eat. The whole thing feels cheap, like a LAN cable from a budget electronics store. But its unfortunate appearance belies its capability. 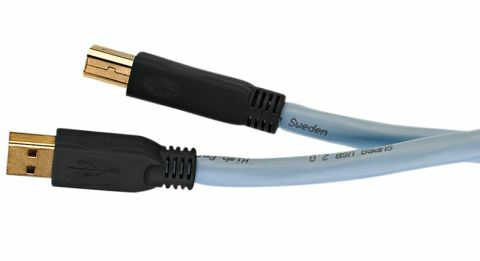 This cable is a terrific performer. It has impressive detail and secure timing. Its presentation is relaxed, and listening is an easy-going experience. The sound isn’t quite as clean as some of the more expensive products, but that’s just nitpicking. At this price, it’s an absolute stunner.